Reflecting as an ideal home for those wanting a comfortable shelter, a strategic location, and with top-of-the-line amenities, the Chelsea Residences Alabang is a perfect choice. This one-of-a-kind condo community is known as the first intelligent residential building to rise in the south. The Chelsea stands proudly in the heart of Alabang. Here, the young professionals, starting and upgrading families, and those who are dreaming of having a home away from the noise of the metropolis, will come into reality. This high-rise condo community development for sale in Alabang is on its pre-selling stage. The Chelsea stands at 32-story lying close to the San Beda College Alabang and sits on a 40,000sqm of a prime property classified as mixed-use and a residential high-rise with retail and commercial spaces available also for sale or for rent. This property is the flagship project of Picar Development, Inc., a property development arm of the AMA Group, which in turn has an extensive know-how in many areas of design and in the architectural and construction industry. This contemporary condominium development will bring Php2.6 billion worth of residential inventory into the market. Moreover, the Chelsea Residences Alabang is not your ordinary condo community. The Chelsea is equipped with modern technology where all 32 floors are Wi-Fi connected; an intelligent building with a retail podium, and 5 basement floors that you seldom find in the Alabang area. These unique features that only Picar can deliver are just a part of the condo community’s sleek and slim display of horizontal and vertical components which has only 704 residential units for sale or for lease. The Chelsea Residences is master-planned to become an intelligent residential building empowered by technologically-advanced innovations and state-of-the-art safety and security services. This mid-range property prides itself with its ideal suburban location offering a live-work-play environment. 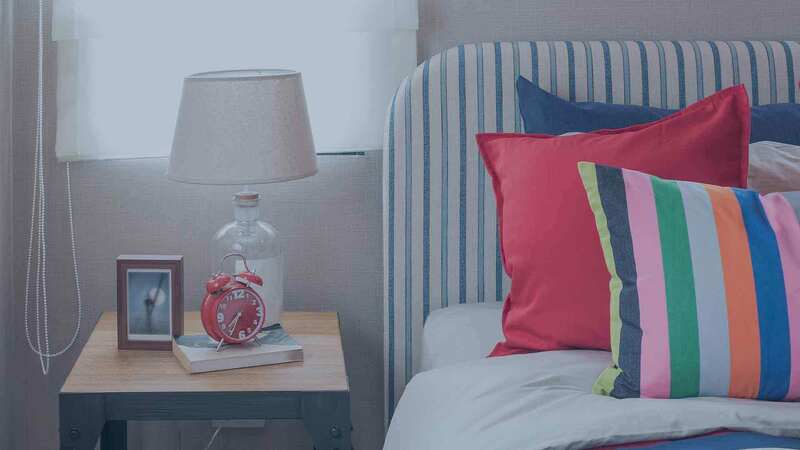 The Chelsea Residences is located along V. Buencamino St. Alabang, Muntinlupa City, Metro Manila, right next to the San Beda College Alabang, and just a few blocks away from the Alabang Medical Center. Buencamino St. connects to the bigger Alabang-Zapote Road where it leads to the central business district of Alabang to the east (only 1.5km away) and the City of Las Pinas to the west (a mere 800 meters away). Furthermore, the location of Chelsea is teeming with affluent residential communities where your neighbors are just some of the elites in Alabang. In contrast with the popular belief that Alabang is an overcrowded district of Muntinlupa, this area is an exemption. Next to Chelsea Residences is more track of vacant lots planted with trees and with verdant surroundings. Just like the spaces surrounding the San Beda College Alabang which is still covered with lush greens. This type of environment is conducive for kids who need fresh air despite being located in the busy metropolis. Moreover, once you live in this well-endowed community, there are more opportunities in business, trading, and even high-paying jobs as the vicinity of the Chelsea teems with corporate offices, various multinational companies, and BPO offices relocating on this progressive district of Muntinlupa. Additionally, if you want to earn more from your investment, you can rent out your unit to prospective end-users; like expats, young professionals, CEOs, and even OFWs who are seeking a temporary shelter in the metropolis while they do their business. The management of Picar is just glad to serve you on this endeavor where you just pay the necessary fees, while the company’s professional management office will do the rest. The Chelsea Residences Alabang offers some of the best unit layouts in the industry. You got to enjoy more breathing space whichever you choose as a unit in Chelsea. Selected units have balconies with gardens allowing unit owners to savor the spectacular skyline of Alabang, Las Pi?as, and the greens of Laguna. With these amazing features at the Chelsea residential units, the family will be treated to a glorious dose of some of nature and man-made wonders surrounding the Chelsea Residences Alabang. Studio Unit (with or without a balcony): The Studio Unit at the Chelsea without a balcony is characterized by its coziness and is a terrific hideaway for the busy urbanites that are always on the go. This unit has a size range of 23.90 to 27.91sqm. It has 1 T&B and spacious living, dining, and kitchen areas. The cozy Studio unit gives credence in living with intimacy and exclusivity despite being in the city. The Studio with a balcony has sizes ranging from 24.93 to 28.59sqm and has the same features as the one without a balcony. One-bedroom Unit: The stylish 1-BR unit has an uncompromised privacy with all its breathing spaces provided for you. It has a floor area range of 35.62 to 36.11sqm with 1 T&B. The unit has roomy spaces for living, dining, and kitchen areas. Two-Bedroom Unit: With a single family in mind, the 2-BR unit at Chelsea is a perfect choice. This immaculate residential unit has sizes ranging from 55.97 to 70.80sqm. It has 2 T&B and a stunning layout that keeps your privacy intact any time of the day. Picar The Chelsea Residences in Muntinlupa City, Philippines is a premier Condo project available for sale. If you're looking to rent or purchase The Chelsea Residences, then check here first. We have full details of The Chelsea Residences updated regularly as well as everything you need to know about the availing and booking process, broken down into stages that includes selecting a unit, choosing a payment plan and buying your dream home at the right price. For price list, free site tripping or showroom visit, personalized service, model house, unit plans, floor plans, payment terms, CHAT LIVE with an agent 24x7. We are Remax Perfect Homes. Always only buy from PRC licensed Real Estate Brokers and Agents.